Auckland, 5 May 2014 - CBRE has welcomed back Luke Senior as Director and recruited Georgina van Hoppe as Manager within the GCS team, based in the Auckland office. 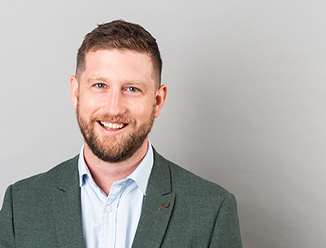 Luke returns to work at CBRE NZ after 13 years away in the UK where he held a number of roles with the likes of Legal & General, Boots Pharmacy chain, RBS in Dublin and more recently as Director in the London GCS team running the Lloyds Banking Group account. Luke’s strong experience in transactional work and in-depth knowledge of GCS plus a corporate account focus which will complement the CBRE momentum in the market and ensure excellent service to CBRE clients. CBRE Group, Inc. (NYSE:CBG), a Fortune 500 and S&P 500 company headquartered in Los Angeles, is the world’s largest commercial real estate services and investment firm (in terms of 2013 revenue). The Company has approximately 44,000 employees (excluding affiliates), and serves real estate owners, investors and occupiers through approximately 350 offices (excluding affiliates) worldwide. CBRE offers strategic advice and execution for property sales and leasing; corporate services; property, facilities and project management; mortgage banking; appraisal and valuation; development services; investment management; and research and consulting. Please visit our website at www.cbre.co.nz.